A house fire is one of the scariest disasters anyone could face. Did you know that pets cause over 1,000 house fires each year in the United States and that more than 40,000 pets die yearly from house fires? 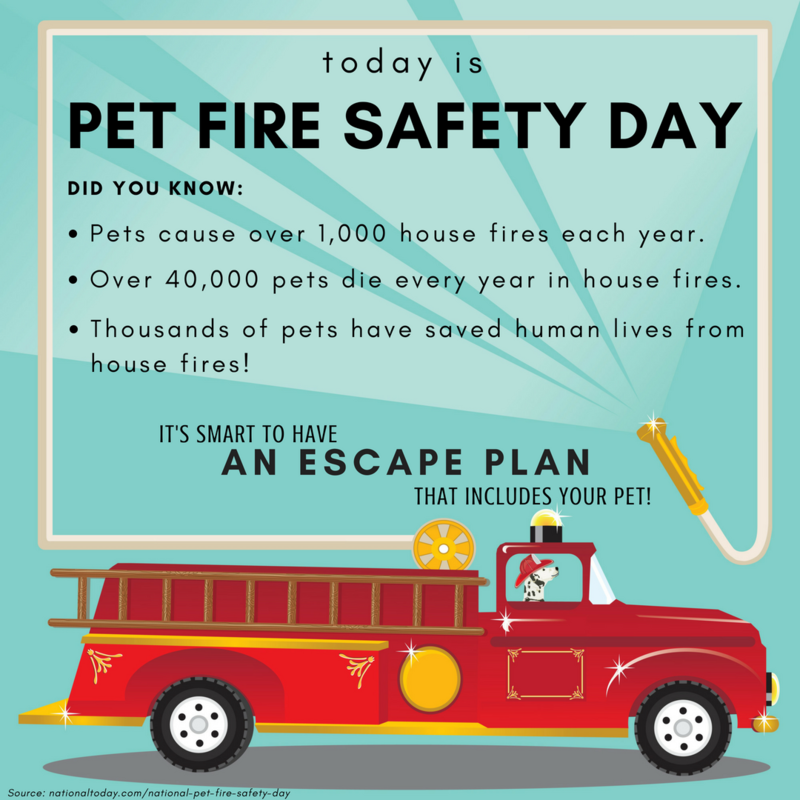 * Today is Pet Fire Safety Day – a day created by The American Kennel Club and ADT Security in 2009 to bring fire safety awareness to pet owners. For many of us, pets are like family members; we’d do anything to keep them safe during an emergency. According to nationaltoday.com here are a few tips to learn how to keep your pet safe if you ever find yourself in this frightening situation. The first step to fire safety is prevention. When leaving your home, make sure all unnecessary cords are tucked away, all candles are blown out and stove knobs are blocked or protected. To keep your pet out of trouble, distract him some of his favorite treats and several toys to keep him busy! The next step to fire safety is to have a plan in place. In the case of an emergency, it’s a great idea to have an evacuation plan that you practice periodically with your pet. Keep leashes and collars visible or in a place nearest the evacuation door. When not home, be sure to leave your pets in an accessible room so emergency personnel can easily reach your pet. Keep in mind that a pet locked in a closed room is harder to access! The third and final step to fire safety is to protect your pet in the event of a disaster. Alert emergency personnel that you have a pet inside your home. 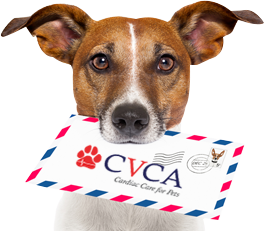 It’s also a great idea to include a list of your pet’s favorite hiding places in your evacuation plan so the personnel can reach your pet quicker. Be sure to keep your pets’ i.d. tags on at all times in the event he escapes your home during the disaster. To aid in the safety of your pet, we hope you take into consideration these three tips that could potentially save your pets life in the case of a fire emergency. Be sure to spread awareness of #PetFireSafetyDay by sharing this article with friends and family!